We have some very exciting news for all of you this week! The Official VIP sales launch of the much talked about and highly anticipated CIRCA 1877 project is finally upon us. We’re excited and we know many of you are too, so we want to make sure that you are fully in the loop as to when the VIP events are happening and how to get involved. 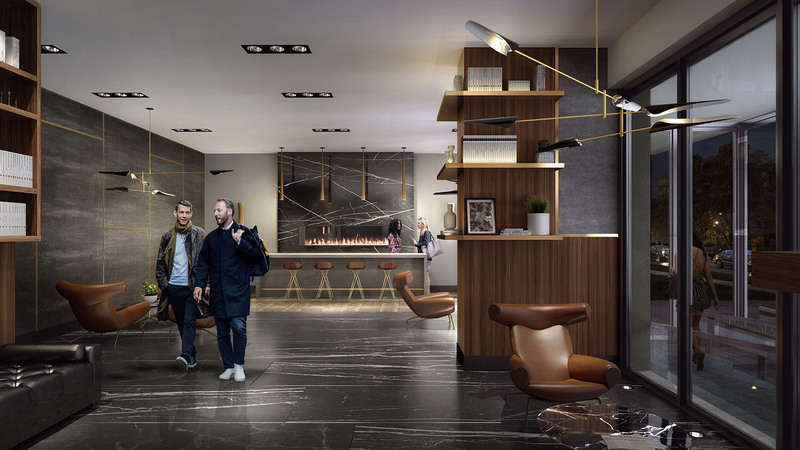 For anyone looking to purchase a unit in the building without parking, your date is this coming Monday, October 16th when we’ll be hosting a special event for the true urban dweller or investors looking to purchase units in the project without parking. Simply reply MONDAY to this week's newsletter or shoot us an email and we’ll make sure you’re on the official RSVP list with first access and send you everything you need to get ready for Monday’s event including floor plans, pricing and all of the other key details. With the trends towards alternative modes of transportation, this neighbourhood’s reputation for being one of the most walkable in the Region and the fact that the property is located directly between the north and southbound lines of the new LRT system, we’re seeing increasing demand for units without parking in the area and expect Monday’s event to be a great turnout. For those of you who would prefer to purchase a unit with parking, your day is Saturday, October 28th, when we’ll be hosting the official CIRCA VIP Sales launch between our Waterloo store and the brand new (and looking awesome we might add) CIRCA 1877 sales centre right beside our Waterloo location. 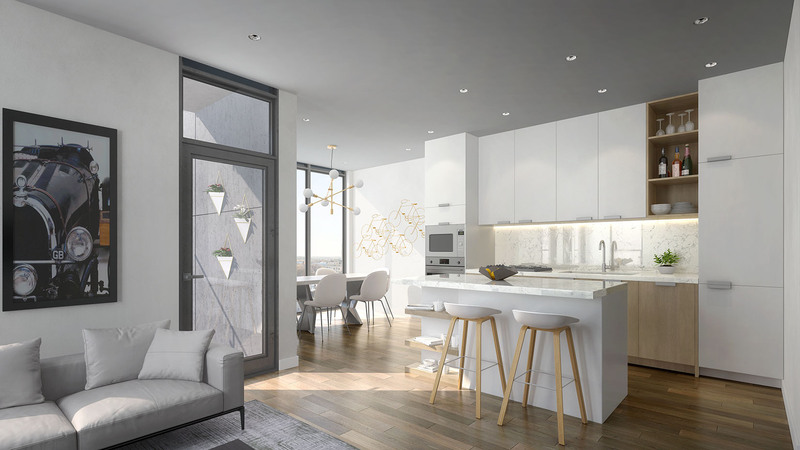 If you’re interested in attending this event, simply reply SATURDAY to this week’s newsletter and we’ll ensure you’ll have everything you need to become educated on the project in terms of pricing, floor plans and everything that will make this building such a great place to live and invest. For those of you who haven’t yet visited us in the store for a preview of what you can expect in this building, we’ve pulled together the latest renderings of some of the many amenities that will set this building apart and a few interior shots of the units themselves, showcasing the beautiful finishes - many of which come standard with the suites - reach out to us for details. If you’re Looking to Purchase a Unit at Circa without parking: Simply reply "MONDAY" to this email and we’ll reach out to you direct with details and next steps on our October 16th event. If you’re Looking to Purchase a Unit at Circa with parking: Simply reply "SATURDAY" to this email and we’ll reach out to you direct with details and next steps on getting first access for our Official VIP launch event on the 28th! Now, how about those images!? Wow! Look at that pool! Oh and the cabanas. You can even get food and drink service up here. 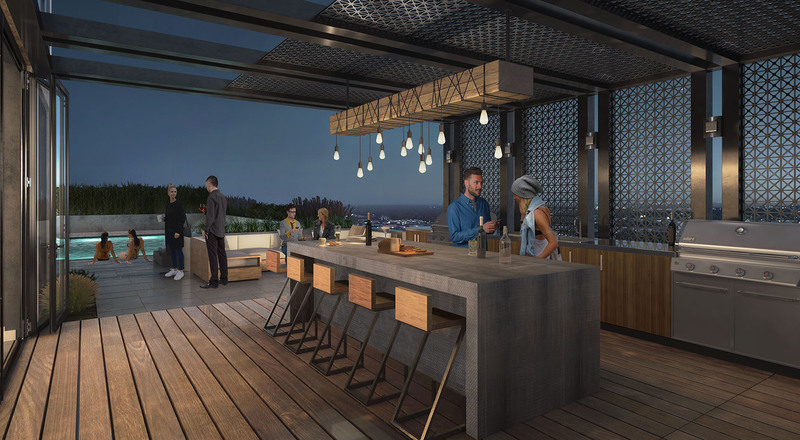 There is also an outdoor bar and BBQ area, outdoor firepits, a community garden, a yoga studio, yoga deck, fitness centre, indoor bar and resident's lounge on this level. 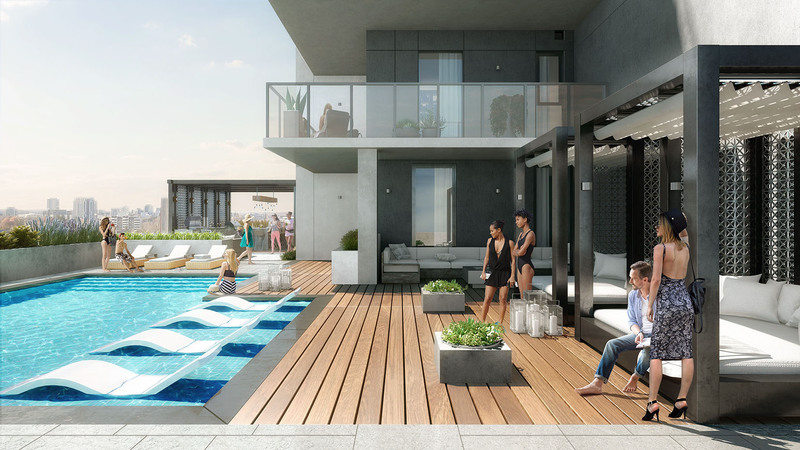 The pool sits on the 6th floor rooftop deck with south and western exposures for great sun all afternoon and sunsets in the evenings looking out towards Westmount. Check out that Nano Wall! That's right, that wall slides all the way open like an accordian wall to create a true indoor-outdoor space with the outdoor bar area! 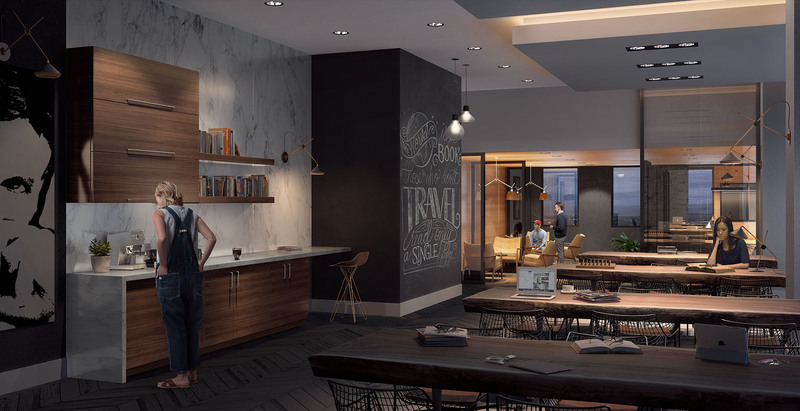 Open workspace, bookable meeting rooms and fiber internet WIFI included for all CIRCA residents in the in-house co-working space. 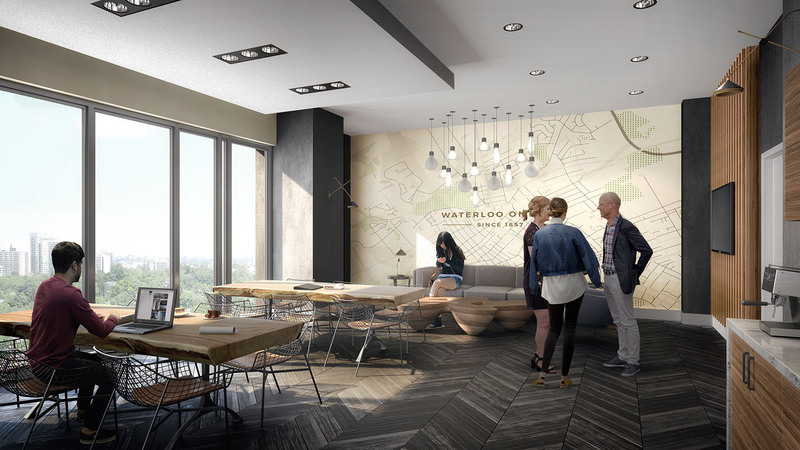 A first for any condo in the Kitchener-Waterlo area! 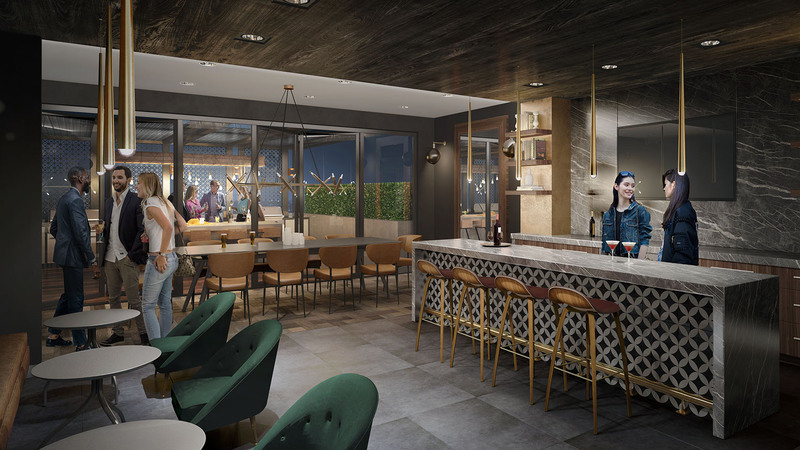 Take a look at the gorgeous lobby planned for this building. Combining the perfect mix of modern and luxury design. Picture coming home, waiting for an Uber or meeting guests here. Next level lobby for a next level building! Check out those finishes. 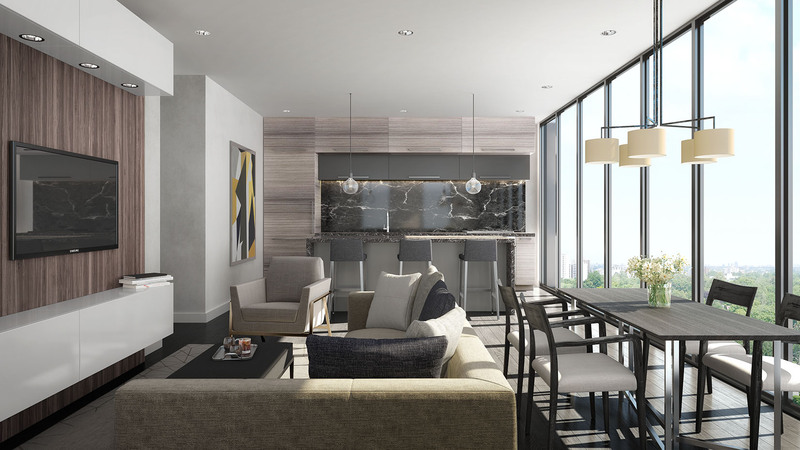 This is a sneak peak of The Ashton, a 1 bedroom corner suite with an awesome 223 sq.ft. wrap around balcony. Like this unit? Let us know and we'll help you compare this with the other 1 bedroom options in the building. Wow! Integrated appliances and full slab quartz backsplashes. Now this is luxury urban living! This is a preview of our spacious 2 bedroom Goldbeck suite offering almost 1250 sq.ft. of interior living space. Questions about the best units to buy at the new CIRCA 1877? Shoot us an email or give us a call at 519-744-8700.